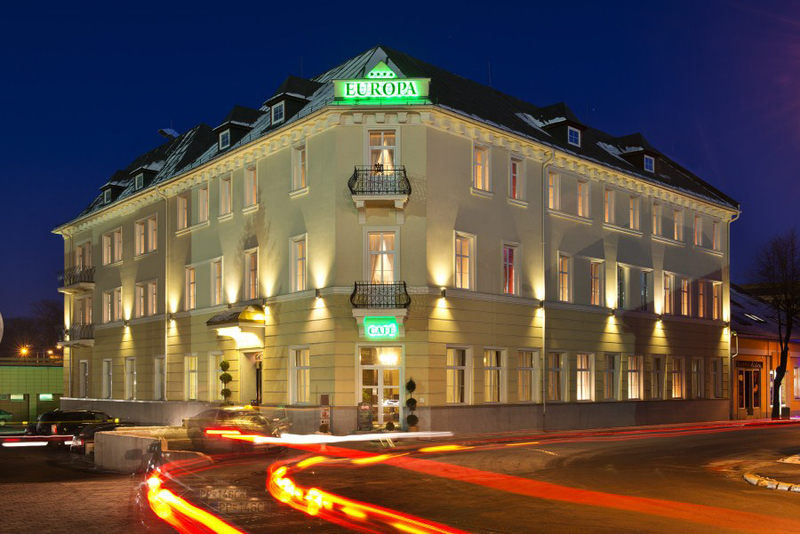 The Hotel Europa**** has a longtime tradition. Its opening dates back to 1898 and since its beginning it has been providing guests from near and far with accommodation services. Its position in immediate proximity of the traffic junction to the High Tatras, Bratislava and Košice predetermined it to be the first choice of accommodation facility for visitors of the High Tatras and travelling salesmen. The hotel café was the centre of cultural life and people from Poprad used to meet there to savour the pleasant atmosphere while drinking exceptionally excellent coffee. Music lovers had a slice of the action in the hotel dance club, Beat Club, where dance parties with a life band took place. The hotel was fulfilling its accommodation function until 2008. That year, the hotel’s complete reconstruction started which took five years. The entirely reconstructed hotel has kept its historical spirit of the 1930s golden era and therefore the interior is appointed in Art Deco style, a design style which was widely used mainly in the USA in the 1920s and 1930s of the 20th Century. It features traits of various movements, mainly cubism, futurism and art nouveau. The hotel foyer, of which walls are made of semi-precious stone onyx, crystal chandeliers, gold brocade, unique paintings and exklusive furnishings create atmosphere of luxury and elegance. The hotel café has kept its original character and there are historical gems, such as a pink marble floor, mirrors with inner grindings or a piano Bösendorfer.